Say what you like about Alexander Wang, if there’s one thing he knows how to do, it’s draw a crowd. Attend one of his sample sales and you’ll be taken aback by the frenzy unfolding before you, hordes of teens and twenty-somethings ripping the clothes out of each other’s grasps. Similar scenes could be found at the launch of his collaboration with high-street retailer H&M, and in the context of Wang, it makes total sense. Because whether you view it as a good or a bad thing, Wang is the poster child of “new fashion”. Throughout his career he’s not only worked equal elements of high-fashion and streetwear into his collections, he’s worn those dual affiliations on his sleeve. His fashion is one where billowing dresses and elaborately cut leathers have been just as welcome as jeans, sweats and bold chest prints – and an authentic sportswear aesthetic that was, until recently, largely absent from the catwalk. Indeed, one of the most common criticisms leveled during his short tenure at Balenciaga was his perceived irreverence to the long-established traditions of the revered French fashion house. And such comments were not without merit; though the collections might have been cut from the same cloth, the patterns were distinctly Wang’s own. And yet, as he bid farewell with one last offering, his SS16 collection was described in various corners as a “swan song”; a tribute to the Cristóbal Balenciaga’s original, ornate femininity; a series of crisp, fluid white ensembles suggesting that Wang could perhaps have continued the house’s traditions if he had to… but then where’s the fun in that? Wang’s eye has always been more focused on the question of how fashion is evolving than how long its ancestry has endured. In no place was this more evident than his SS15 collection, littered with visual references to the world of sneaker culture, from the air bubbles and elephant textures of Air Jordans, to the fluorescent tones and criss-crossing textiles of Nike Flyknit runners, to pieces which nodded to the iconic adidas Stan Smith colour palette – innocuous, immaculate white, distinguished only by an accompanying flash of tennis green. Far from the belief that fashion must find the new by reinventing the wheel, Wang’s revolution is a reminder that the new is already around us, and it’s time to accept it. At a time when every fashion house was making their own imitations of the Jordan 1, Stan Smith or ZX 500, his homage was a bold statement that it was possible to incorporate street fashion through celebration, rather than just ambivalent mimicry. Fast-forward to SS17, shown this past weekend, and the revealing of a new collaboration between Wang and adidas Originals makes total sense; one of street fashion’s biggest brands enlisting the high fashion sensibilities of a designer who has already firmly proven that his passion is more than superficial. But this is far from a one-sided story. After what seemed like an eternity of feeling around in the dark, the transformation of adidas Originals in recent years is nothing short of meteoric. Throughout the 2000s and into the 2010s, their identity was defined by the past; a starry-eyed nostalgia for what once was. Re-issues of the ZX ‘000 running footwear series were accompanied by stories of their groundbreaking Torsion and SoftCell technology, and OG colourways that were sure to please the older generation of 3-stripes fanatics. But what about connecting those stories to the new generation? And who can blame them? Compared to its competitors, adidas is a brand that can truly claim to have been there, but in doing so, it forgot to tell you it was still here. The result was a brand with a wealth of cultural kudos and capital that just didn’t quite seem to know how to use it. New releases of the iconic shell-toed Superstar harked to the past, but didn’t point to where we were going. Old anecdotes about Run-DMC and Oasis sounded less like the memories of a master of culture, and more like someone reminiscing about the good old days. But suddenly that changed. adidas realised that history doesn’t necessarily have to be about the past; it can inform the present and the future. Nowhere was this more apparent than their sneaker releases. The ZX Flux took everything about the ZX series, most of which you barely even noticed, stripped it to the nucleus, and dared to make something new. Or more recently, the NMD, a shoe that has taken the world literally by storm, selling out at eye-watering speeds, but distinguished by those red and blue blocks that were taken from the Boston Super & Micropacer, two shoes that are over 30 years old. But most impressive was the revival of the Stan Smith, a shoe that had been so omnipresent you barely noticed it was there. So how do you relaunch it? Two words. “Stan’s Back.” You know him. You always have. He’s back. Get a pair. Duh. The point is adidas finally embraced its identity as a brand of culture and style. Sure, they had tech and sportswear stories like any other brand, but they’ve also been there through every important cultural moment of the second half of the twentieth century, and they’ve got the scars to prove it. Once you’ve accepted this, the doors open to collaborations with rappers, fashion designers, pop stars, cultural icons, architects, skate companies, whoever. 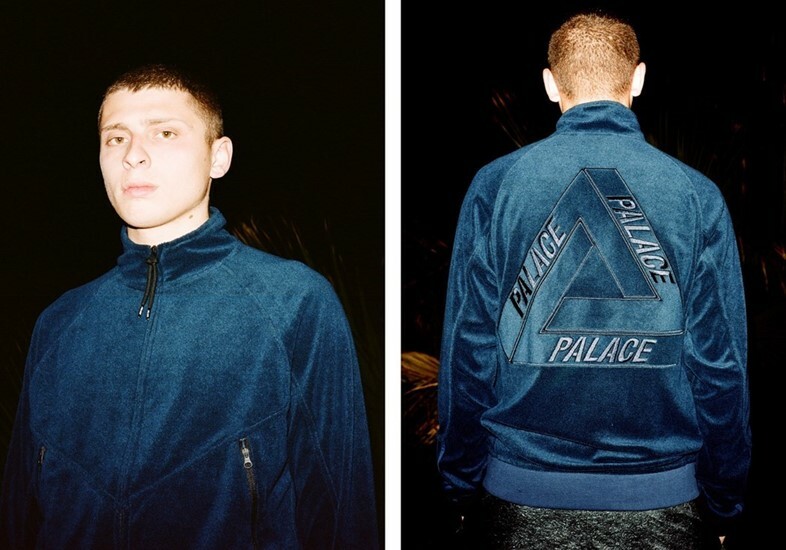 When Palace Skateboards were approached to collaborate with adidas Originals, they were immediately drawn to their memories of adidas’ football gear, so they wanted to make that. So adidas did. They let those personal cultural stories lead the way, and it brought their brand to life. All of which leads us to this weekend, where Alexander Wang closed off his SS17 presentation by revealing a collaborative collection with adidas Originals, available to purchase the very next day from a van that would move around NYC, its location revealed by contacting a telephone number. Classic sportswear pieces were rooted in adidas’ history; flashes of irreverence through super-long outerwear pieces, asymmetric panels and an overturned trefoil logo; and an immediate release predicated on the hype and fervor of contemporary street fashion. At this point, collaboration is simply part of the landscape. In the early days of collaboration, Japanese brands joined forces in a spirit of shared perspectives and a desire to create something new by following each other’s methods. Nowadays, in a fashion landscape awash with Xs and capsule collections, that spirit is less apparent. Any time a mainstream brand gets together with a smaller label, you have to ask what each respective party is getting out of the endeavour. The same questions will arise regarding adidas Originals and Alexander Wang. But the point is, what you have here, in its simplest terms, is a collaboration that just makes sense; a young, dynamic and progressive designer who has always embraced the influence of the mainstream on the upper echelons of fashion and dared to forget the past, and a street fashion goliath who, over time, has learned to wear its own history and broad cultural influences with pride, and dared to do sportswear by talking about anything but sport. Say what you want, but they make a nice couple.